Hailee Steinfeld adds buzz to the ’80s-heavy soundtrack. Love that they added THE TOUCH!!! Came for Hailee’s single, stayed for classics. 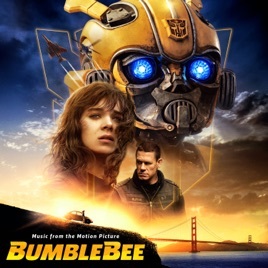 I figured Hailee would have a song on the soundtrack and it’s amazing! But I really love the compilation of classic songs. It seems like the perfect album for a road trip when you get tired of listening to the radio. I plan on seeing bumblebee this weekend.